Array Creative is always proud to share the successes of our exceptional clients. 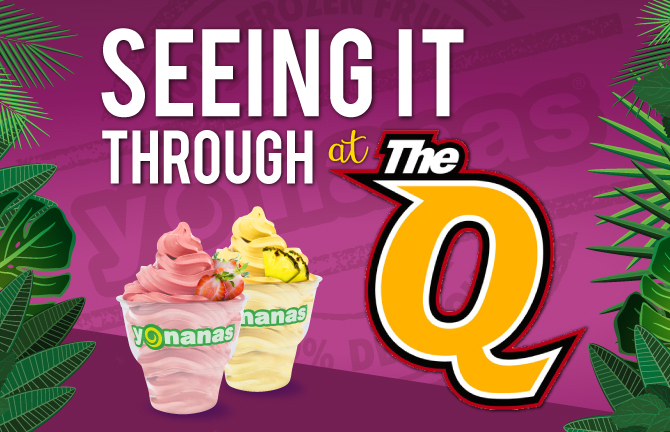 We are very excited to announce the opening of the Yonanas 100% Fruit Soft Serve kiosk at The Quicken Loans Arena (the Q) in Cleveland, Ohio! For those of you who have yet to experience this delightful treat, Yonanas is a healthy, silky-smooth, delicious alternative to ice cream, made from only 100% frozen fruit! What started as a healthy dessert that could be made at home in just minutes with the patented Yonanas Healthy Dessert Maker machine can now be enjoyed while you’re at the big game! This new kiosk reflects Yonanas’ fresh, innovative personality and showcases a healthy new way to enjoy dessert. With 100% fruit flavors like mango pineapple and strawberry banana, you’re sure to find one you’ll love! Together through our strong partnership with Winston Products and the Healthy Foods team, we have helped develop all aspects of the Yonanas brand – from packaging to merchandising – transforming Yonanas into the vibrant, energetic global brand it is today. The kiosk at The Q is a huge step in taking this product to the next level. Next time you are at the game, look for Yonanas in Section 228, on the jumbo-tron and other digital displays around the arena and even in the ‘Tip Off Tonight Food and Beverage Directory’! Visit yonanas.com to learn more about Yonanas or to find the nearest retailer to purchase your very own Healthy Dessert Maker! Additional information can also be found at http://www.theqarena.com/events.